Okay so basically I have a good idea for a bitcoin hardware wallet, i'm just looking for information on how to go about creating it? Do I need to create my own programs/programming for literally everything? Are there open source type things I can use? Would it be illegal to use another wallets programming or whatever? I'm just really confused as to how all of this works out. I'm not the engineer involved with the product, I'm on the finance and business side of things. So forgive me if I sound dumb! Basically, what all can I use that currently exists to make this process as simple as possible without getting any law suits lol. Thanks so much! 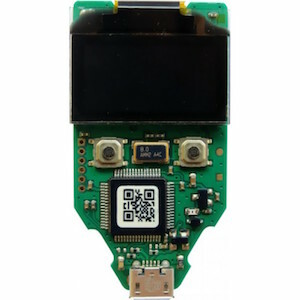 There's not a lot from a electrical engineering perspective inside a hardware like the Trezor. It's a small microcontroller, a very cheap OLED screen, some miscellaneous buttons and connectors. The entire bill of materials is likely under $10 USD for per unit. The difficulty comes from the software and integrity perspective. You've got to ensure that the software doesn't lose other people's money, that it protects in the ways it intends to, and resists tampering. The hardware should be able to be produced with some confidence that the software written to the devices is secure, that nobody can replace them in transit with identical, but malicious devices. You've got to be sure nobody engineering the devices has their own backdoors to steal money from the device, that there's not ghost runs being made by a producer. If there's a large theft relating to hardware you've produced, you'll be the one immediately blamed as responsible for backdooring them, so this is an existential threat for the producer if they get it wrong. Are you willing to take this personal risk? Most people would not agree the benefits outweigh the costs, if producing secure hardware seems like a easy idea you've probably not considered all the modes of failure. Not the answer you're looking for? Browse other questions tagged development hardware-wallet or ask your own question.